In addition to voice and SMS, we allow you to apply our unique workflow engine to Twitter direct message interactions. Twitter workflows are useful for greeting new followers or polling pre-existing ones. Moreover, they allow you to engage constituents or clients who are active on a platform that serves 320 million monthly active users, 80% of which access the platform via a mobile phone. UNICEF's U-Report program, for example, utilizes Twitter workflows to disseminate polls among youth in various countries with great success. 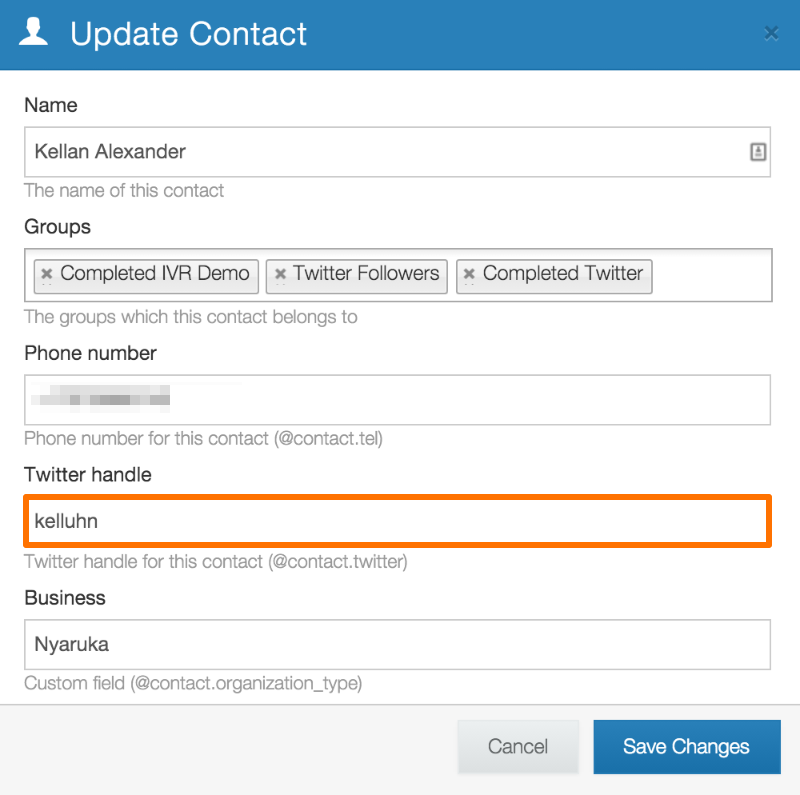 Any incoming direct messages will be automatically stored, and you'll be able to send direct messages to contacts using their twitter handle so long as their account is enabled to receive direct messages from anyone. For example, if a follower sends you a direct message containing a keyword trigger you've assigned to one of your flows, they'll receive a response just as they would via SMS. Note that you cannot make first contact by sending out messages or flows to a person who is not following you. Twitter does not allow this.